Brand Assembly’s airy co-working space in New York City is decidedly modern and expectedly stylish—oh, and there’s wine on tap. The bright and airy shared conference room at Brand Assembly. Hillary France always roots for the underdog. “I’ve always had a passion for the success of young businesses,” mused France, “I love helping people get to that next level—finding undiscovered talent.” And that’s precisely what she does. France co-owns New York-based Brand Assembly, a community for young fashion professionals to have access to the tools they need to be successful in the competitive, often cutthroat fashion industry. France has worked in fashion her entire career. Through a retail job at Kate Spade New York in D.C., she fell in love with what she refers to as fashion’s back-office—basically the operations side of the business. This seemingly unglamorous area of interest brought France to New York City to work with fashion mainstays like Diane von Furstenberg and Rachel Zoe, and smaller contemporary brands, like Kimberly Ovitz. It was at DVF where she met Alex Repola, who at the time was a third party logistics provider. The two like-minded creatives hit it off, and France enlisted Repola’s expertise for her subsequent career ventures. 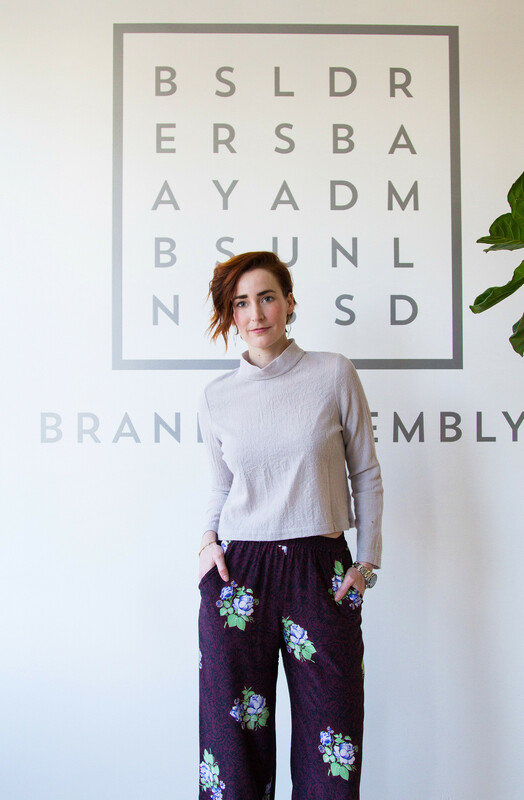 Brand Assembly’s founder Hillary France at the entrance to Brand Assembly Square in New York. The fashion purveyor is stylishly clad in pants from Svilu and top from Silvae. The Square features a neutral selection of low-slung lounge seating and minimal frames to complement the varied textures and colors on the garments. 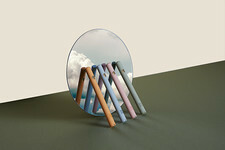 The artwork pays subtle tribute to the brand’s chosen industry. While working at Kimberly Ovitz, the duo started talking about the often debilitating challenges that emerging brands face in the fashion scope today. France explained, “Ninety percent of a young designer’s time is being spent doing things they are not interested in, or really, good at,” for example, bookkeeping, deciphering compliance manuals, and data management. Their solution was simple: provide those crucial back-of-house services to developing fashion brands, and in doing so, foster a community of creative collaborators. So in 2013, they began Brand Assembly. Alongside their provided services, France and Repola launched a highly curated trade show in Los Angeles for these budding brands to gain some exposure on the West Coast. 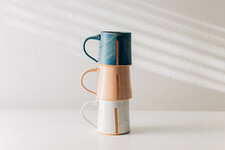 Two years later, after the success of their simultaneous endeavors, the pair extended their brand to include a brick-and-mortar co-working space in New York’s fashion-y Flatiron district, coined Brand Assembly Square. “We wanted to offer small brands a place where they could get noticed, and have a longer selling lifetime – whether year-round or in extended market periods,” said France. Taking a cue from the models of their co-working predecessors (see wework), they opened the collaborative office space. Fashion professionals can rent a private space, semi-private space, or just a desk in the Square, to function as their own headquarters—acting as both a studio and a showroom. 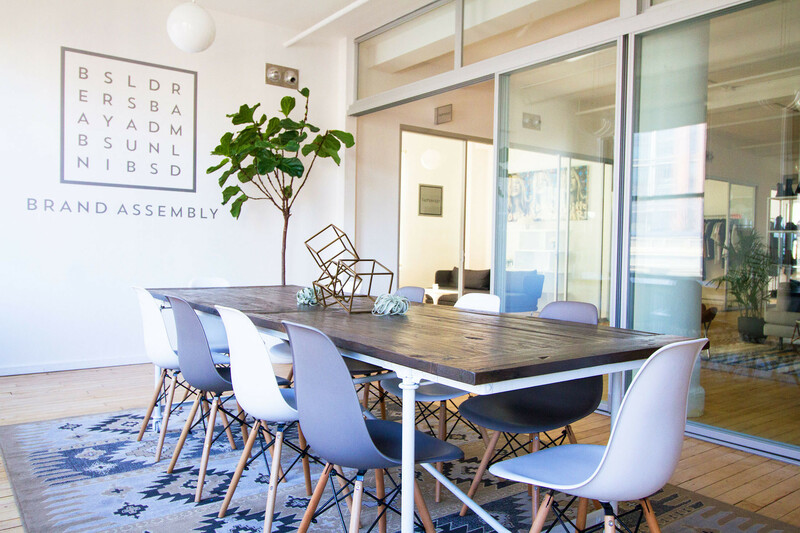 They have access to shared conference rooms and lounge areas, and can tap in to Brand Assembly’s back-office services and industry know-how. 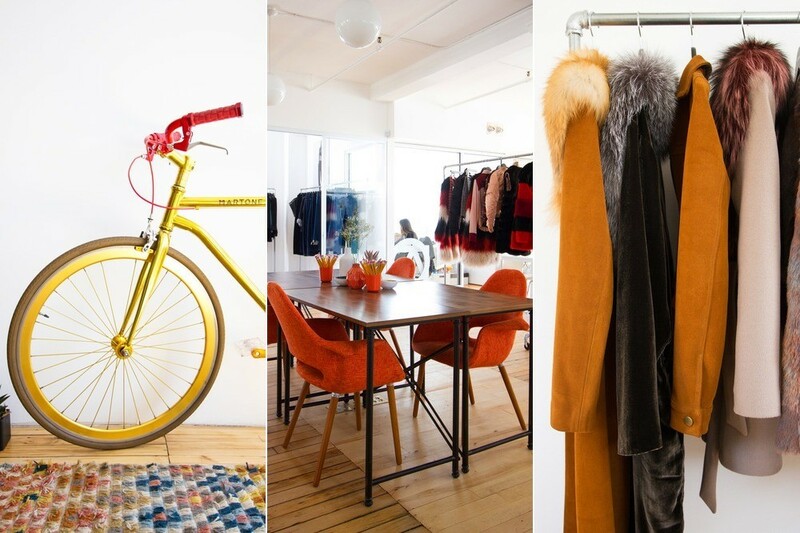 “Our temporary space in LA is open and airy, and gets so much natural light,” explained France. “We wanted to find a place here that had that same aesthetic.” They found the perfect space on the ninth floor of an office building in the Manhattan’s centrally-located Flatiron neighborhood. Not only is the location ideal in terms of access—less than a block from four major subway lines—but it is a mere ten blocks from the Garment Center, fashion’s epicenter. The nearly 3,000-square-foot space boasts 360-degree, unobstructed views from its numerous windows. Design-inclined France worked with an especially creative team member, Adam Eisenhut, to tackle the interiors of the Square. Together, they set out to take advantage of the ample natural light in the space. They replaced interior walls with windows and sliding glass doors. These transparent borders keep with the collaborative nature of the shared offices, while letting the light pour in. “We wanted people to be able to shut the door when they needed to have a private conversation, but still allow buyers to see the product inside,” said France. 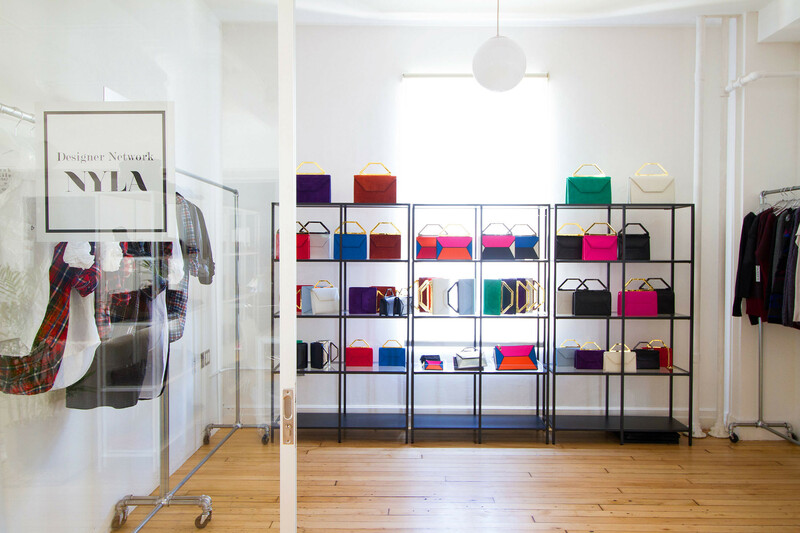 The dedicated space for NYLA, a multiline showroom that sells several emerging brands including Owen, Adaptation, ROI, and Frank & Eileen. “NYLA mainly carries emerging brands with a more casual, laid back feel,” said France of the offering. A steady mix of modern furniture silhouettes and sturdy, more authentic wooden pieces is used throughout. The Restoration Hardware tables in the designated “sunroom” were refinished by France herself. She explained, “We are pretty hands-on when it comes to design elements here,” recalling a time she brought six planks of wood from Upstate New York to the studio to fashion display shelves. In the private studios that line the perimeter, decoration was kept to a minimum, allowing brands to embellish the space with necessary brand imagery and décor. The Square’s communal areas are decidedly homey, opting for furniture brands often found in a Millennial’s apartment. In France’s own home she uses generous amounts of color, but here the interior provides a uniform backdrop for the varied textures and shades found in the garments displayed. France stated, “The clothes have to speak for themselves.” Subtle pops of color in the space come by way of woven rug patterns, a few deeply-hued pillows and chairs, and fresh greenery. And one of the Square’s claims to fame is their wine tap (seriously). The tap is used for markets, buyer meetings, press dinners, holiday parties and sometimes, just to remedy a long day at work. Sounds like our kind of office. On the left is co-founder Alex Repola’s brightly-hued bike by Martone Cycling Co. Center, the central meeting space features a Target table, surrounded by tomato-colored upholstered armchairs from Dot & Bo. On the right, the fall/winter 2016 offering of camel-toned jackets from ThePerfext.